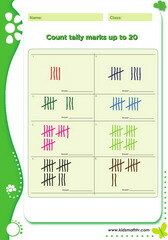 Practice Counting tally marks to 20 with this worksheet. 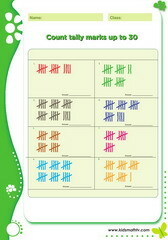 Practice Counting tally marks to 30 with this worksheet. Practice Tally marks to 20 with this worksheet. Practice Tally marks to 30 with this worksheet.